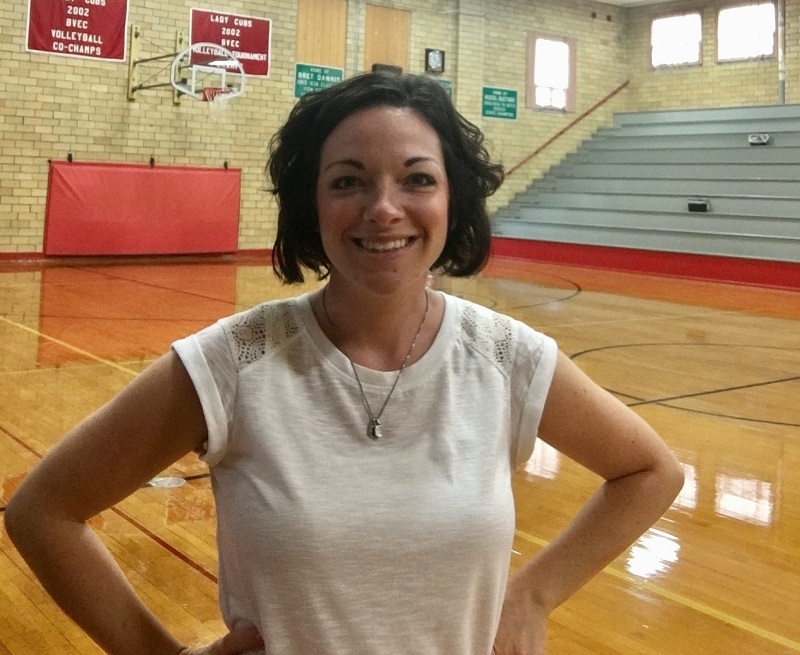 This week for the Featured PE Teacher section on the PE Central Facebook page, the spotlight is on Mary Cluley! 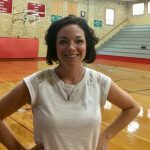 I am a Physical Education teacher at Notre Dame Catholic School in Wichita Falls, TX. I teach grades 3k – 5th, and a total of approximately125 students. I am lucky enough to have been teaching for 23 years. My focus is always: “Helping all young people enjoy physical activity now and for the rest of their lives!” This quote is taken from one of my TAHPERD Journals, and I love it so much. Last week, we prepared for our annual, “Playing with Pops in PE”. About 90% of the dads in our school come during their child’s PE class! Some of the activities include Mushroom Ball, Build Up (which is a fantastic game I got from my TAHPERD Conference in December), and Hot Potato Tag for 1st – 5th. The 3k, 4k and 5k students did “Walk it out Willie” and “Running in Place” songs for warmups, then “Goldilocks and the 3 Bears,” “Oogedy Boogedy Tag,” and “The Bean Game.” The dads all seemed to have such a good time! My favorite lesson plan/unit would definitely be FOOTBALL. I love teaching anything regarding football. You could say I am a football nut! During most any football-related lesson, the students come out sweaty and have really worked out and had FUN! My favorite football activity is “football box ball”. I also LOVE doing special events! This Friday night our 5k and 3k students will be performing at halftime of our High School basketball game. They will be doing 3 dances from around the world that I taught them last week: Fjaskern from Sweden, Kinderpolka from Germany, and the Virginia Reel! I am exctied about this! What is your favorite part about being a PE teacher? My favorite part about being a PE Teacher is that I get to see my students every day, and be a real part of their lives. I get to show them as much love as I can every single day. I also feel very strongly about the importance of joining your state AAPHERD and attending conferences to learn the latest and greatest. Joining Facebook and Twitter for professional reasons to follow groups such as PE Central & S&S Worldwide, and as many PE groups as possible. That really helps me be a better teacher, which in turn benefits my students. This entry was posted in Featured PE Teacher, PE Central and tagged AAPHERD, elementary school, family fitness, featured pe teacher, fitness, football, Mary Cluley, Notre Dame Catholic School, PE, PE activity, PE Central, pe teacher, PE Teachers, physed, physical activity, Physical Education, TAHPERD, teacher, Teachers by S&S Worldwide. Bookmark the permalink. 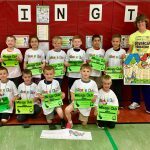 I’ve been a PE Instructor for 28 years, teaching PK – 5th. We have almost 1200 students in our school, 600 of which come through our gym on an every other day rotation. I am always looking for new ideas to keep the class different but keep kids engaged. I already play Mushroom Ball, but what is Build Up and Football Box Ball? Hi, thanks for your comment and congrats on 28 years of teaching! We have reached out to Mary and she is working on writing a blog post about these activities within the next week. We will notify you as soon as it’s posted! Can you describe how to play Hot Potato Tag, Mushroom Ball & Build Up? Hi Teresa, we have reached out to Mary and she is going to write up a blog post about these activities within the next week. As soon as it’s posted we will notify you! Mary you are doing a great job! I as well have been a dance p.e. etc. teacher for 25 years. Time flies when you’re having fun! Those games sound so fun how can I learn how to play them??? 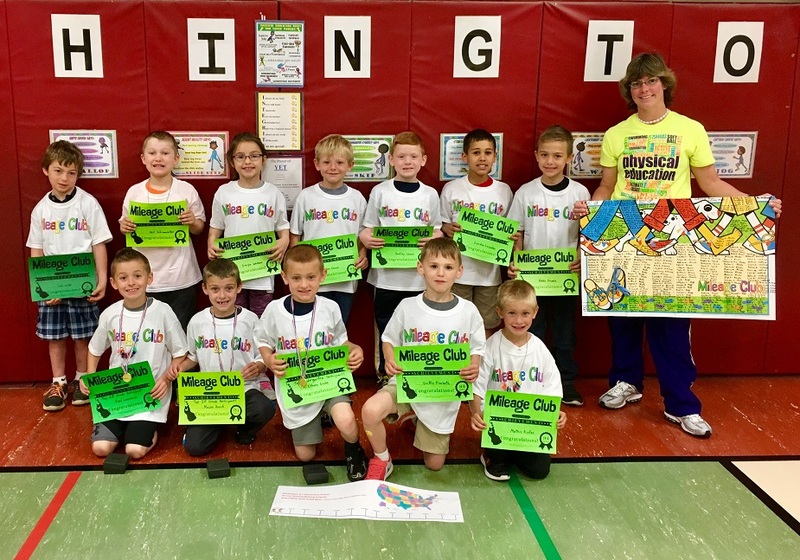 Activities include Mushroom Ball, Build Up (which is a fantastic game I got from my TAHPERD Conference in December), and Hot Potato Tag for 1st – 5th. The 3k, 4k and 5k students did “Walk it out Willie” and “Running in Place” songs for warmups, then “Goldilocks and the 3 Bears,” “Oogedy Boogedy Tag,” and “The Bean Game”. I teqach ages 3- campers so they all would be new and fun for me and them. I am so glad I found your blog. I also love PE Central, which is where I found your blog information. Teaching kids to enjoy exercise is not an easy task these days! The excitement you bring into the classroom every day will certainly help these kids believe “exercise is fun”! I have been teaching PE in Edgerton, MN for 31 years and I feel like I have never had to go to “work” a day in my life!! I’d love to learn how to play the games you have mentioned. I would also love to share more about myself and my PE activities. My husband recently started blogging and he is enjoying it. He is looking for a short story book publisher. His short stories are very funny! 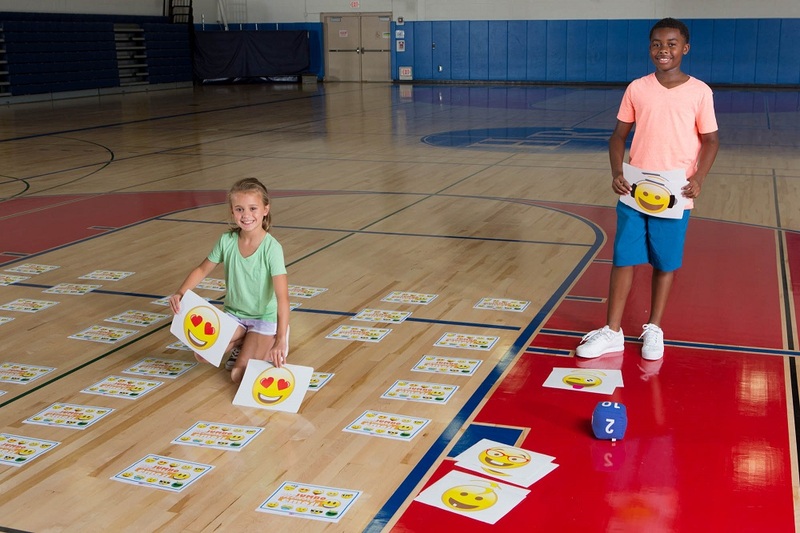 Hi Joy, so great to hear you can use these activities for your campers, and your PE class! We have reached out to Mary and she is planning to write up instructions for each of these activities within the next week or so. We will notify you when it is posted on our blog!